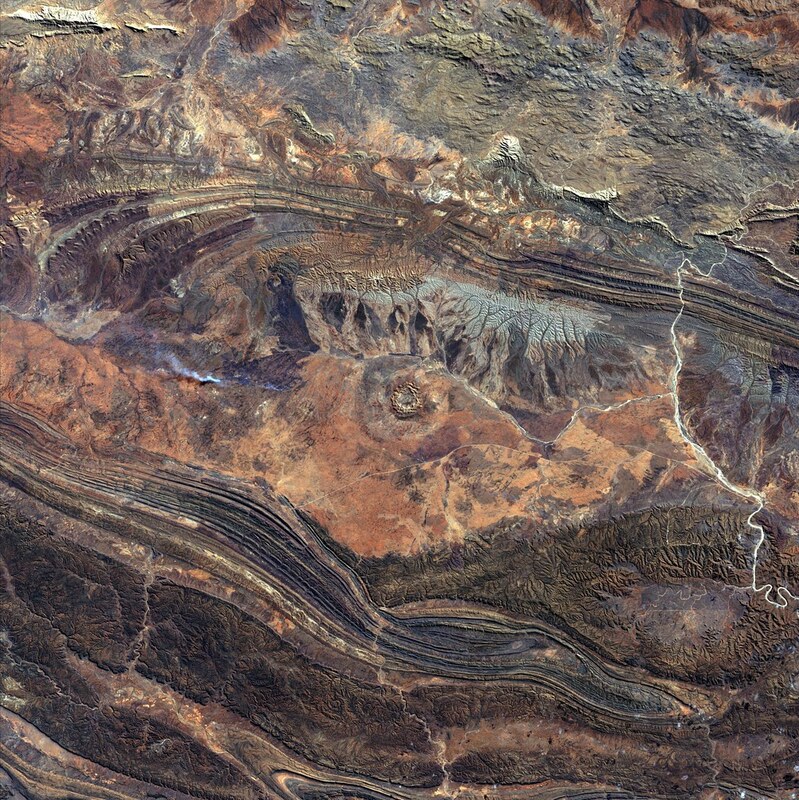 Description: 142 million years ago, an asteroid or comet slammed into what is now the Missionary Plains in Australia’s Northern Territory, forming a crater 24 kilometers in diameter and 5 kilometers deep. Today, like a bull’s eye, the circular ring of hills that defines Gosses Bluff stands as a stark reminder of the event. Posted in Big Picture, Photography | tagged abstract, asteroid impact, Australia, craters, Earth, Earth from Space, NASA, NASA Goddard Space Flight Center, nature, patterns, textures. The permalink.